Dr.Malpani's Blog: Why startups fail - and the real reason may surprise you ! Why startups fail - and the real reason may surprise you ! Along with being an IVF specialist, I am also an angel investor who funds startups. Failures are common in both IVF and angel investing, which is why it's a topic which fascinates me. 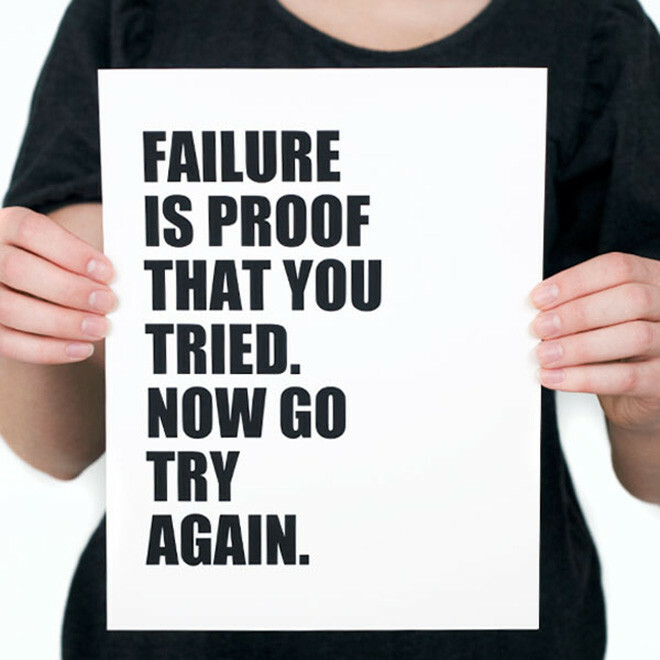 One of the major risks any startup faces is that of failure. In fact, this possibility is built into the very definition of a startup, because a startup is an experiment in order to find out what works in the real world and what doesn't. If it does work, the payoff is enormous, but the reality is that about 90% of startups will fail, because we cannot predict the future . Since failure is expensive, a lot of time and effort is invested in trying to reduce the risk of failure. Unfortunately, we seem to be going about it the wrong way. When a startups fails , we want to find a scapegoat to blame, and this is usually the founder. There's a lot of finger-pointing , and people create stories as to what went wrong , and why. How could the founder burn through so many millions so quickly with nothing to show for this ? Surely he must have become too egocentric and refused to listen to reason, which is why he drove his company into the ground. Whenever a startup succeeds , we look for a hero , and the founder is painted as someone who's super-human. However, the flip side to idolising extremely successful founders such as Steve Jobs is that we also paint founders as being villains when the startup fails. We forget that success or failure doesn't depend on an individual - it depends on the system. We need to analyse the failure dispassionately by doing a post-mortem, so that we can learn from it and move on. Unfortunately , humans prefer reading emotionally-charged stories rather than taking the time and trouble to understand complex alternative histories and counter-factuals. This short-cut means we end up doing a disservice to the ecosystem . We gift all the glory to the successful founder , and punish the one who fails by dumping all the blame on him. In order to reduce failures, smart VCs implement systems and processes to make sure that the startup is on the right track. The founder is required to report reams of data, and they analyze this data to try to pick up patterns and early warning signs of failure. However, rather than use this data to help the startup to succeed , it is often mid- used for pulling up the founder when the company is not growing as planned. Because investors are very busy and have lots of startups to track and monitor, they focus only on a few numbers, and use these metrics to judge the performance of the founder. These will decide whether the startup gets the next round of funding, or whether the investor pulls the plug and allows the startup to die. ● The first is to improve the system. To do this, the founder needs to change processes in order to add value at the front line - a difficult and time consuming task, which needs patient capital . ● The second is to suboptimize. Here the founder focuses exclusively on improving the area being measured, often at the expense of other areas. ● The third is to game the numbers. The founder manipulates the data to make the numbers look better. Thus, if the major focus of the investor is on tracking GMV (Gross Merchandise Value) , the founder will focus on inflating that number, often at the expense of neglecting more important metrics , and this is what leads to disaster in the long-run. It's easy for a founder to dress up the numbers in order to make them look better - which is why so many e-commerce companies continue to behave in ways which make no sense to an outsider. They sell products at a loss in order to get their GMV up, because this is what keeps their investors happy. Similarly, if an investor wants to see growth, they are happy to buy customers, no matter what the cost, so that they can raise their next round of funds from a bigger fool. Startups are complex adaptive systems which have to tackle unknown unknowns. Investors need to understand that the success or failure of a startup depends on providing them a supportive ecosystem. We need to focus on collect useful metrics which can be used to support the growth of the company, rather than using them as a stick to blame the founder when things aren't going as planned.